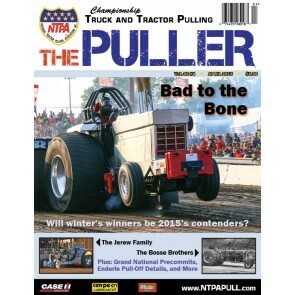 NTPA Legend: NTPA's early days, Trowbridge Team, NFMS Tractor Pull Coverage, Criswell-Benedict Team, Spotlight on: Goetze's Candy, Member State Coverage, and more! 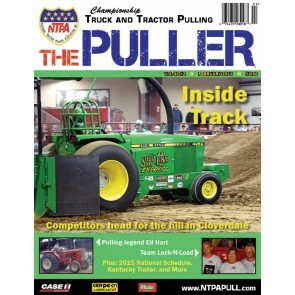 Legends: Ed Hart, Cloverdale, Indiana, Whom do you admire? 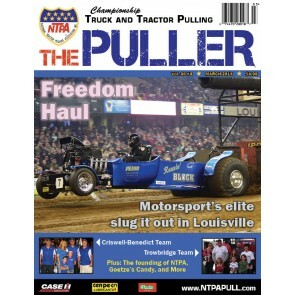 Lock-N-Load Team, Pullermetrics, Spotlight on Kentucky Trailer, Member State Pages, and more! 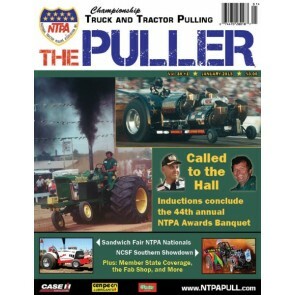 NTPA Hall of Fame Inductee Profiles - Gardner Stone and David P. Schreier; NTPA Convention and Awards Banquet; Sandwich, IL; Raleigh, NC; HSTPA Awards Banquet; and more! 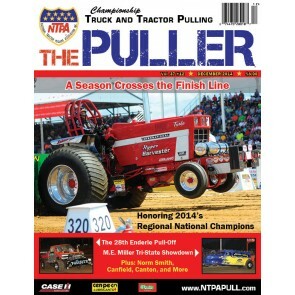 NTPA Legend: Norm Smith; 2014 Regional National Champion Profiles; Canton, OH; Canfield, OH; Wauseon, OH; Enderle Pull-Off in Urbana, OH; and more! 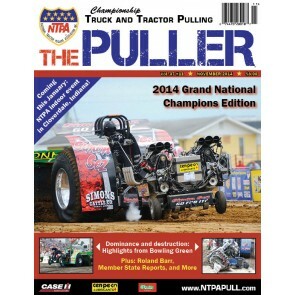 2014 Grand National Champion Profiles; NTPA Legend: Roland Barr; Bowling Green, OH; and more! 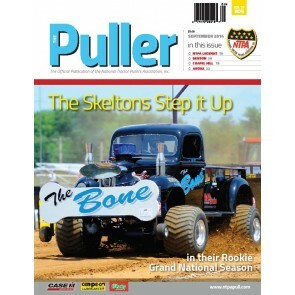 Cover: Steve Burge aboard "Lock-N-Load"
Cover: Larry Flood's "Carolina Krypt Keeper"